“Quick Release Zipper” introduces a new way to open a zipper. 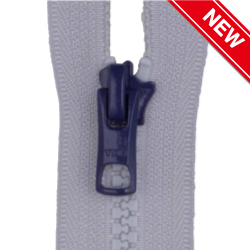 It allows users to release the zipper by simply pulling apart the garment from both sides of the zipper. There is no need of pulling down the slider. YKK TREND 2018SS Featured product.